This section contains traditional, fancy and modern styles tops for every age groups women. Especially young and teenaged like this type of cute and beautiful Tunics Top to wear with Pant type bottom wears. Find your wished style here and celebrate each and every day like festivals. Ladies outfits haven’t been affected by strict boundaries; the style of women’s wear doesn’t stop by any region, cast and culture. In one word, you can say freedom of fashion and so in India, we enjoy wearing Pakistani designer kurtis with different cuts. When you compare Indian & Pakistani kurta for ladies it looks similar, but one thing that is very different is the western style of clothing is not as accepted as India and Pakistan. Due to this very, the designers try their best to stick to basic Pakistani kurti design, which was originated in Afghan. The Persian style men’s kurta was stitched without a collar in those days and it was long up to knee length and was worn with pajama. And the same size ladies kurta designs were used in Pakistani fashion. In today’s, fashion the size of Pakistani kurtis designs are still up to knee length or floral length designer Pakistani kurtis that have been embossed with their traditional work. Pakistani embroidery work is inspired by their neighboring countries like Afghanistan, China and also by some of the Indian Territory like Gujarat, Rajasthan, and Kashmir. Uniformly attached glass in raw with a different type of stitches called Sindhi embroidery work. Mostly used on the bottom of any dress or In the middle of latest Pakistani kurtis 2016, this type of embroidery work was originated by Sindhi women and now known globally as Sindhi embroidery and border work. Baluchi women of Pakistan and other tribal groups specially fashioned this embroidery pattern on kurti designs in Pakistani fashion. Kurtis Pakistani designers use aari embroidery work for a curvy floral pattern and that’s why whenever you see any complex pattern of embroidery with flower straight away you would recognize that this is aari work. This Pakistani style kurti with aari work is famous in Islamabad. This famous embroidery work is done with same color string and once completed looks awesome on any fabric. The Pakistani kurtis designs are very costly nowadays because of its complicated Tarkashi work. Karachi kurti style is not only known for its design but also known by its straight cut pattern. 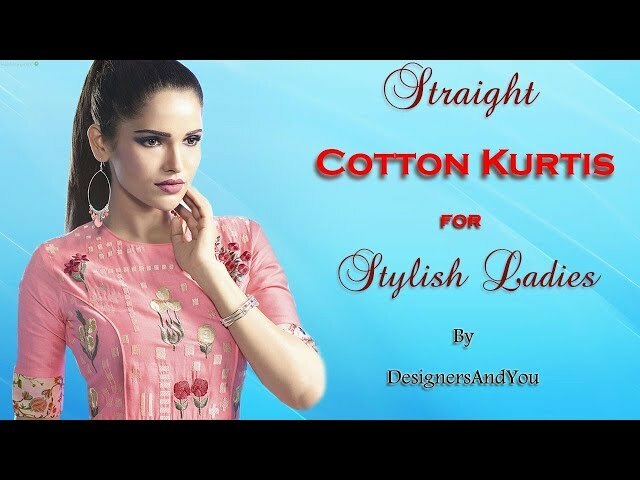 Karachi kurtis design is in high demand in all over the Asian countries like India Bangladesh and Afghanistan.